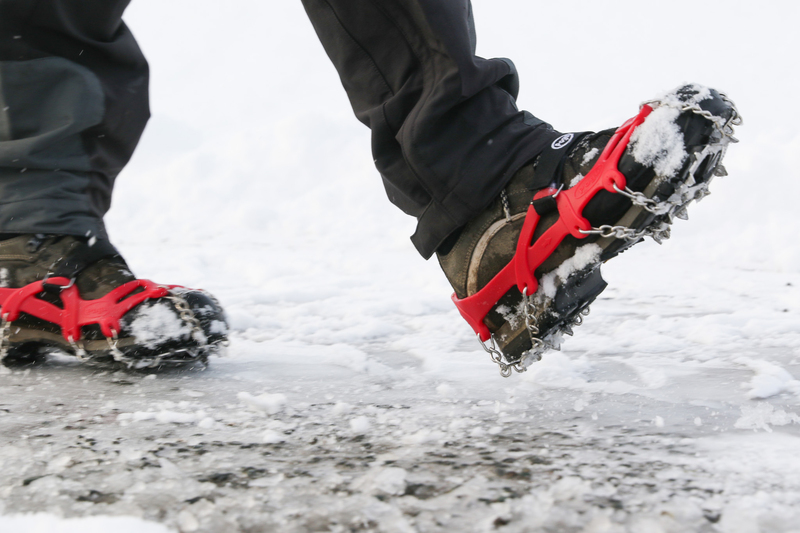 The lightweight pocket sized mini crampon for use on most slippery surfaces such as ice and snow. 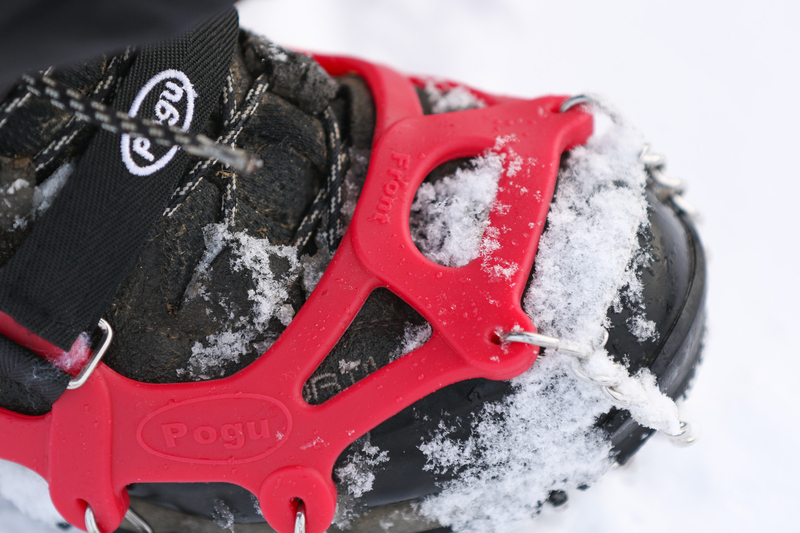 Pogu spikes have been CE tested to give you the confidence to stay active outdoors all winter. 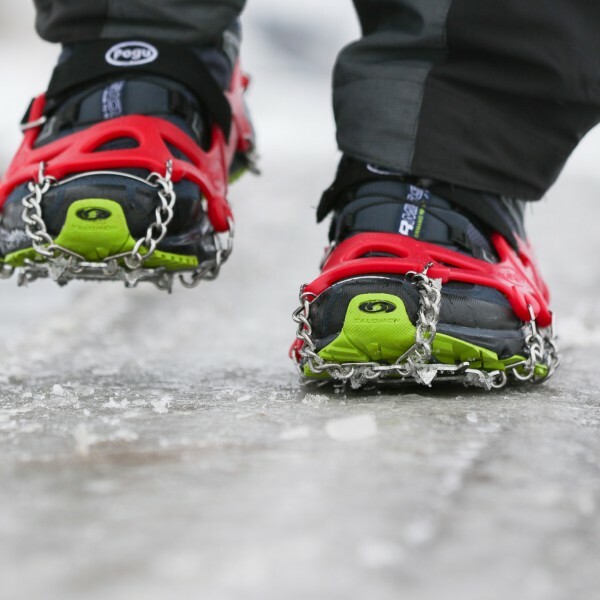 These spikes are your savior if you are walking on uneven or difficult terrain, they are versatile and dependable. 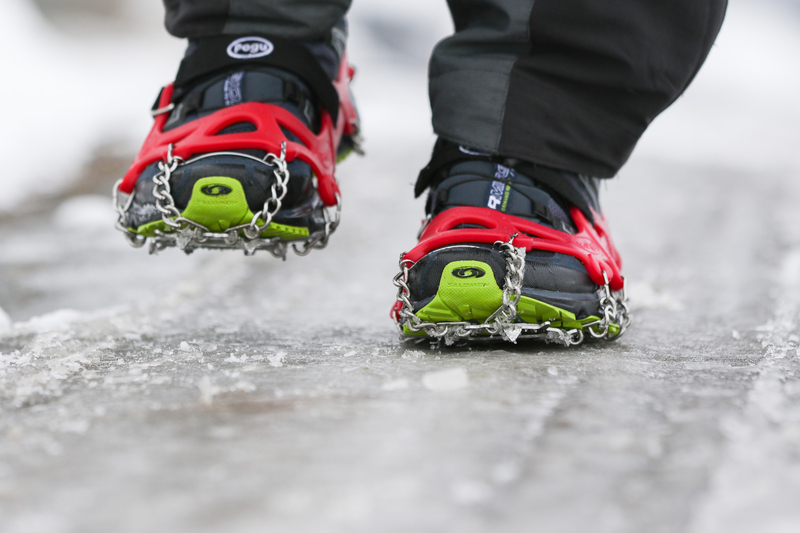 If you need a high level of grip then Pogu Ice Spikes are an essential for you this winter. 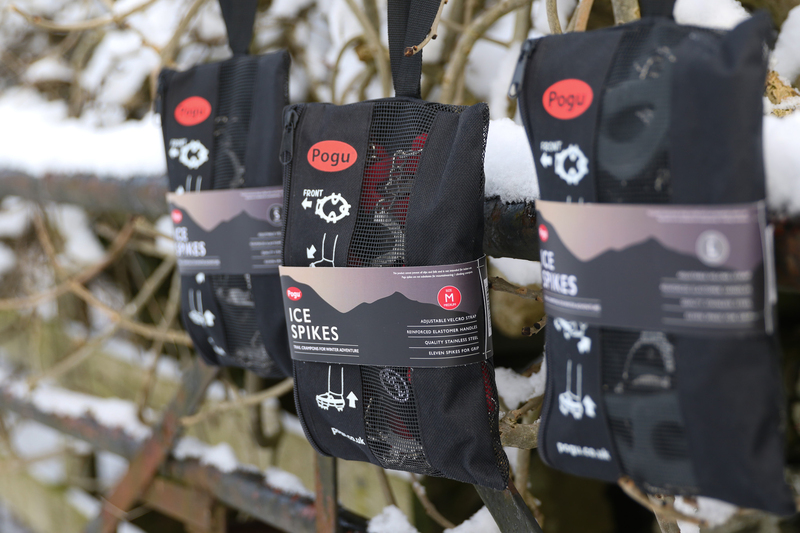 Pogu ice spikes can be easily attached and removed, don’t let the bad weather catch you out this winter, get outdoors, remember these sturdy spikes have been tested in the, sometimes, tough conditions of the Lake district! 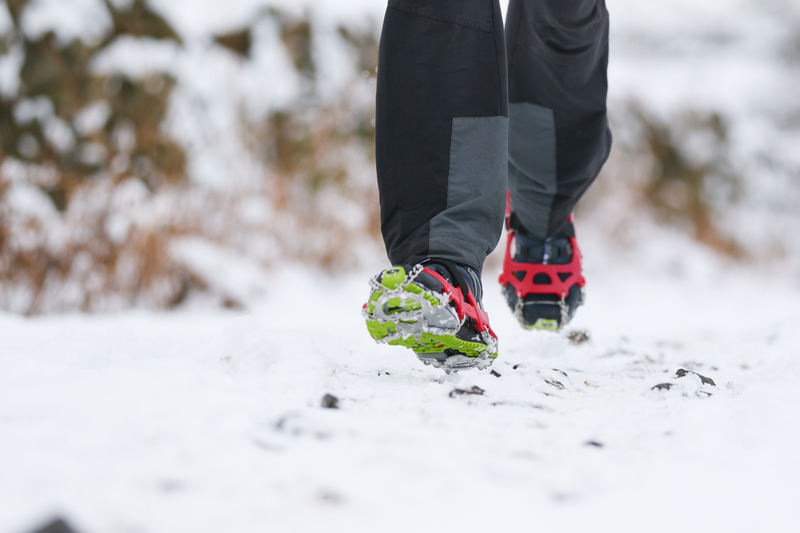 Ideal for running, hiking and walking in icy and wintery conditions. 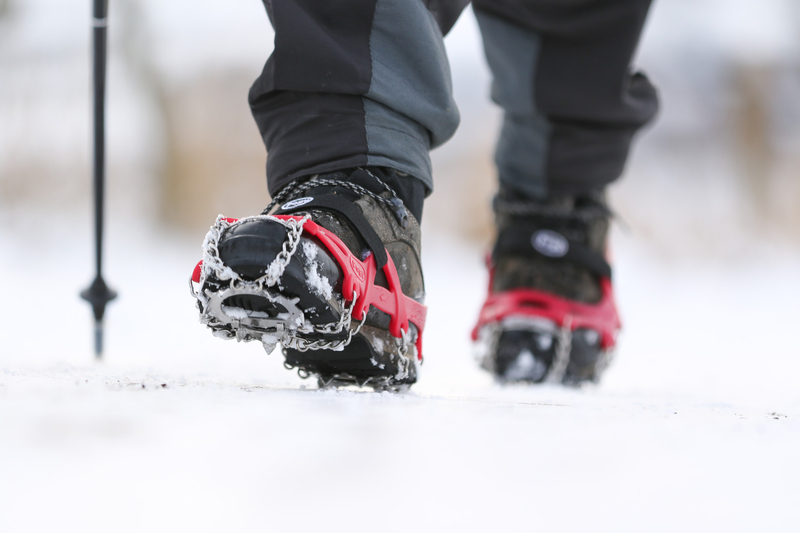 Tough elastomer shoe harness that fits over shoes and boots within seconds. 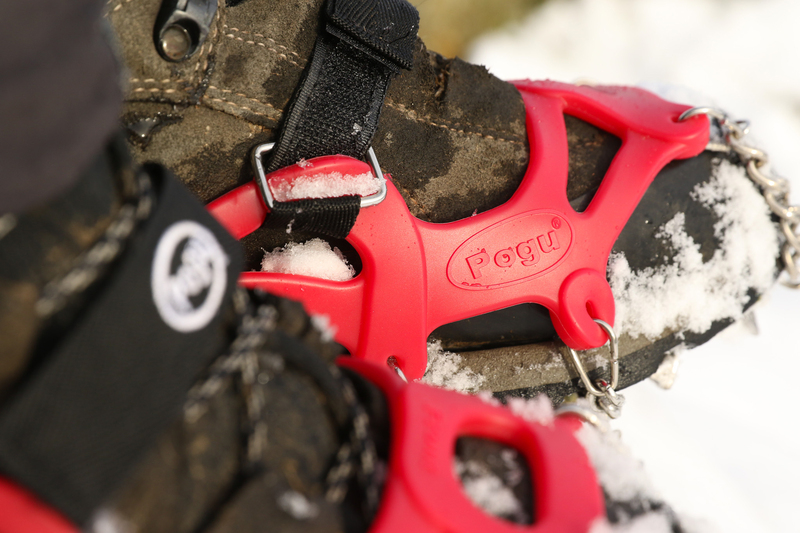 Heel tab and direction arrows for ease and simplicity. Lightweight and pocket sized (approx. 250g each). 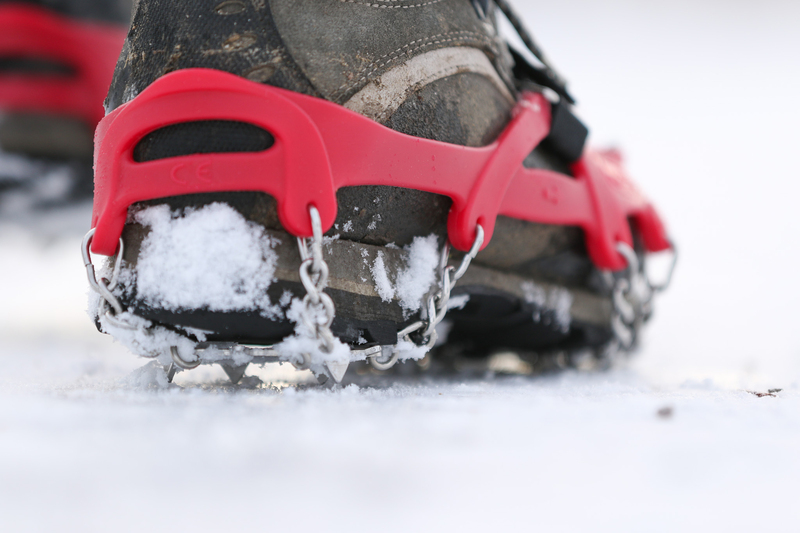 1.0cm long eleven-point spikes fitted to steel flex chain. 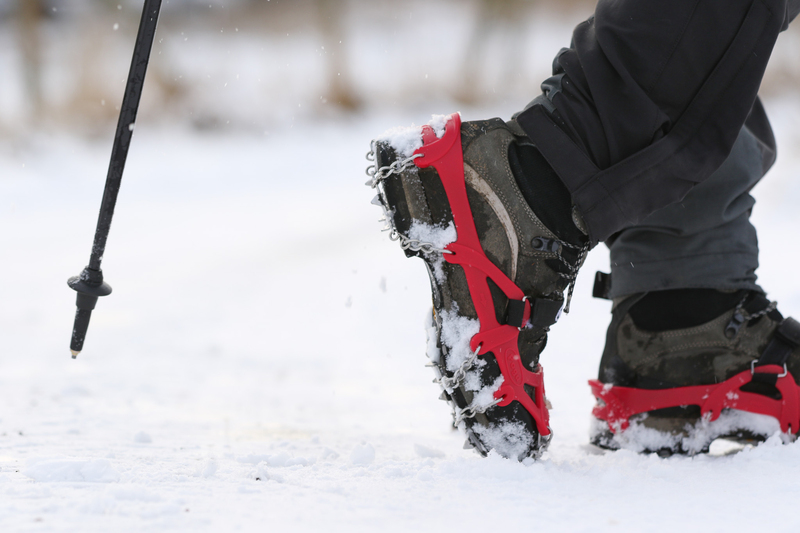 Removable velcro strap for added security and confidence. 3 sizes to fit all. Brilliant! 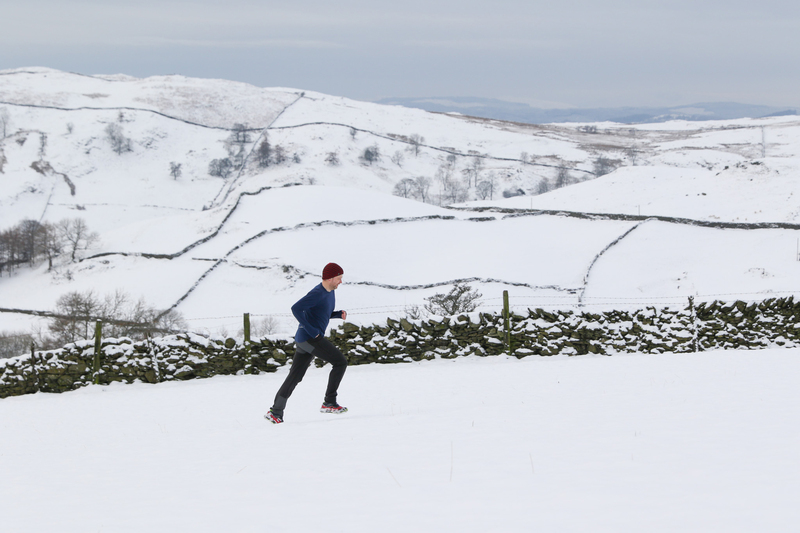 Not only is Pogu based in the Lake District, the ice spikes are great. 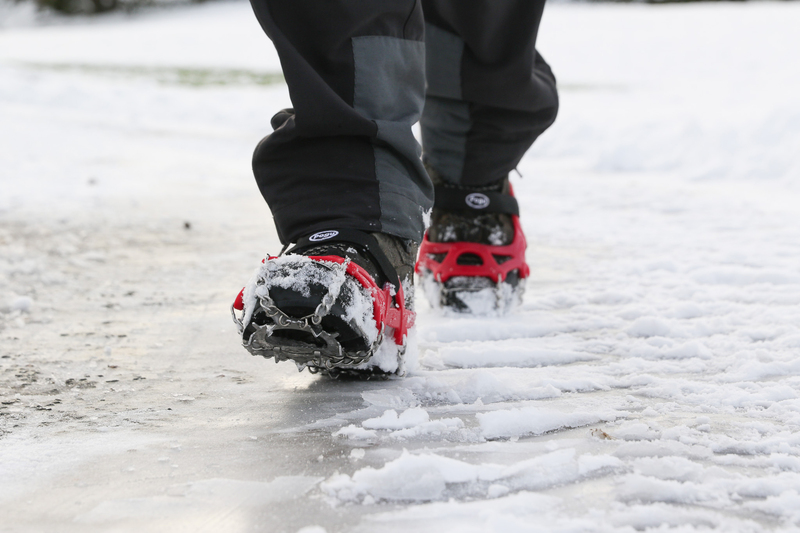 I was jumping up and down on the ice and I felt so confident. © Pogu. All rights reserved.